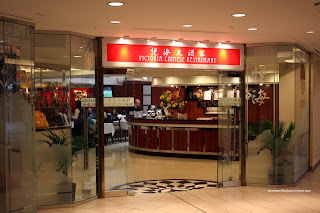 One of my first few posts ever was on Victoria Seafood Restaurant. That was back in 2008 and I had not yet separated posts on Dim Sum from dinner service. Why the separate posts you may ask? Well, I believe that Dim Sum is a completely separate entity from dinner. Not only are practically all the dishes different between the two meals; most of the time, the chefs are different as well. So it's like practically going to 2 mutually exclusive meals at the same restaurant. Therefore, with urging from some people, I will end up with 3 different posts of Victoria. Three? Yes, they also have an AYCE hot pot meal during the winter months, which I blogged ab out here. Today, I'll focus on Dim Sum. 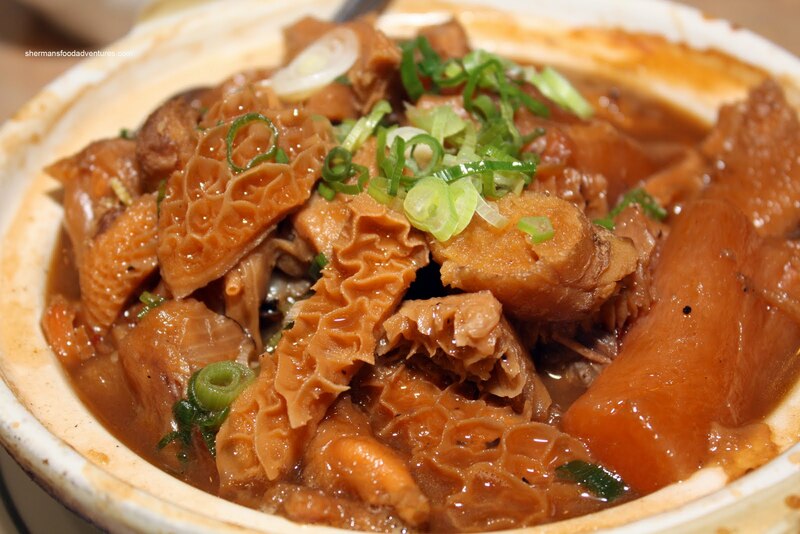 In a city where the metropolitan population consists of almost half Asian, there is not a whole lot in the way of Dim Sum within the Downtown core. Other than Victoria, the only other restaurants offering a full-service Cantonese Dim Sum lunch are Kirin and Imperial. Naturally, attached to the exclusive location, there comes a cost. Imperial is on average the most expensive of the bunch with Kirin being the least expensive. Victoria falls right in the middle. Although there is a lot of room for debate as to which one is the best, it ultimately rests on the shoulders of each individual. Now if we base it on value alone, we can rule out Imperial because it doesn't offer anything particularly better than the other two. Furthermore, it is the most expensive and there is no validated parking. 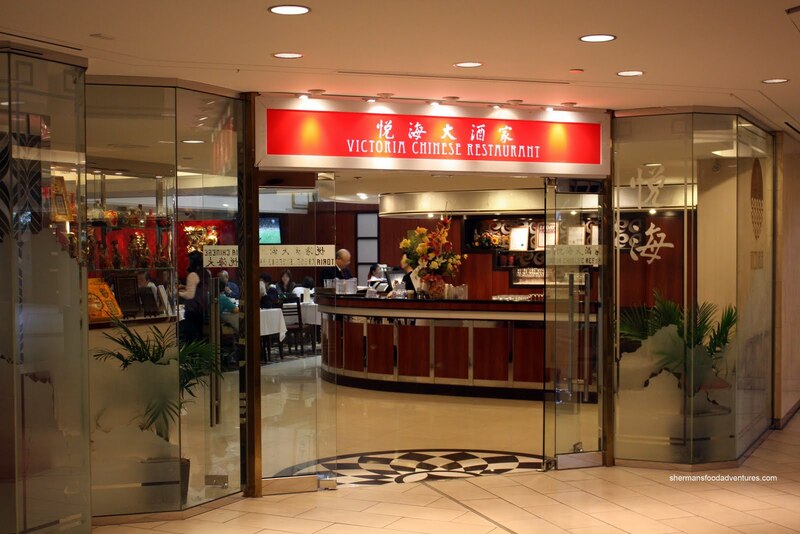 By virtue of being my parents' favourite Dim Sum joint, I am very familiar with Victoria. Despite this fact, I won't be biased here. There are indeed many more better choices for Dim Sum in the GVRD. The one thing going for them, along with Kirin and Imperial, is their Downtown location. 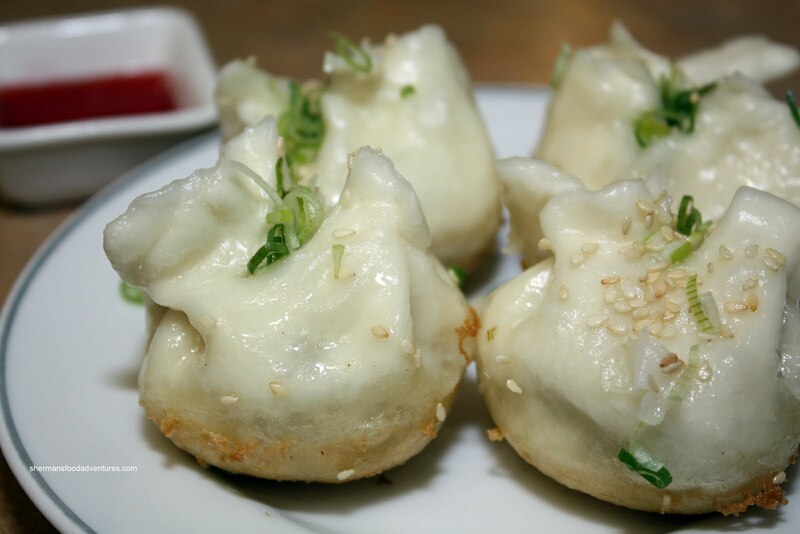 For today's meal, we got pretty much the most popular dishes starting with the Pan-Fried Buns. I consider this to be one of their signature items since no other place does it right. 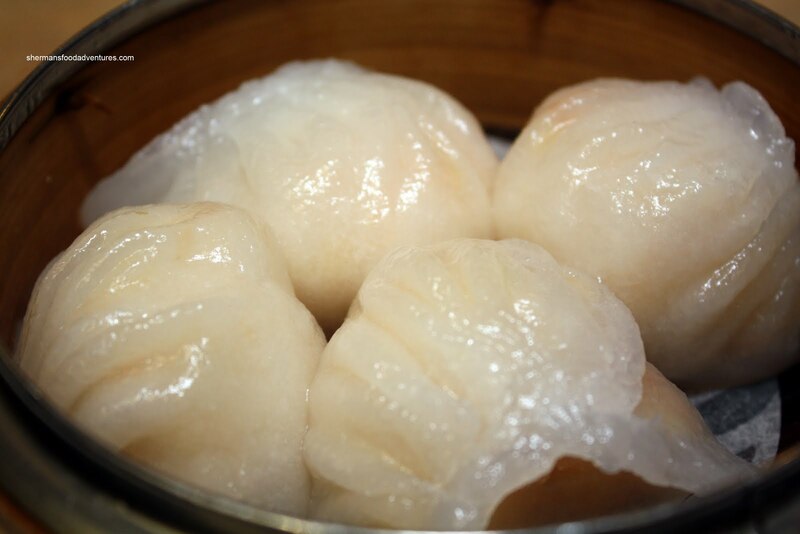 Most other places, including Shanghainese restaurants, have buns that are very doughy and thick. The ones here more filling than bun. Furthermore, it is fried up nice and crispy on the bottom. Of course we had to get the Shrimp Dumplings. Honestly, for the price, these dumplings are not worth the money. There is nothing inherently wrong with them, the shrimp is crunchy while the seasoning is delicate. But, there are better for less elsewhere. I must give kudos for the Sui Mai though. For such a simple dumpling, there are many times that they don't turn out right. There is a fine line between the pork being too soft or too chewy. Although not aesthetically pleasing to look at (a little tobiko on top would help), they have a good balance between pork and shrimp. overs easoned. Perfect for dipping into hot chili oil or better yet, their house-made XO Sauce (which is a combination of dried scallops, shrimp, garlic, chili and oil). 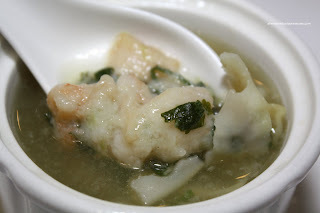 Another signature item has to be the Shark's Fin Soup Dumpling. It is essentially a large dumpling filled with shrimp, pork, cilantro and gelatin in a chicken consume with a few pieces of shark's fin. Sure there are many places that serve a variation of this; but I feel that the one on the whole is executed quite well. From the ample filling to the delicious broth, it tastes expensive. And honestly, it is expensive at $6.25 a bowl. One of the more expensive items on the menu are the Rice Noodle Rolls. I've had them all and they are indeed good. Packed with plenty of ingredients in a soft rice flour noodle, these are made with care. The Seafood Yee Mein is generally not a standard item at Dim Sum; however, I just wanted to mention that the one here is pretty good. With a bevy of scallops, fish, shrimp and squid, this is both a filling and high quality dish. This pretty much sums up Victoria Restaurant in a nutshell (at least for Dim Sum that is). Food has all the right quality elements and execution is pretty good for Dim Sum. The dining space is comfortable, if not a bit odd. After recent renovations, it has got this Vegas-type thing going on. Not sure if I totally dig it to tell you the truth. Service can be spotty. Generally, it is courteous and efficient. At other times, it can be sparse and indifferent. It really depends on who you get as your server. Overall, if you must have Dim Sum in downtown and are willing to pay for it, Victoria is probably the best of the bunch (among Kirin and Imperial). When are you going to open your own restaurant. Sherman! Since you know what is good and what is bad. I bet if you open a sushi, chinese, or even french restaurant it would be amazing! LOL - I agree with Doug! You didn't mention if this was a cart-pushing or card-filling dim sum place (I still love, if for only nostalgic reasons, the carts). Doug, you know restaurants are money-losing ventures! LOL... Anyways you give me too much credit. Although, about 15 years ago, I had this idea about all day dim sum as a tapas kinda thing in a modern, hip environment. Looks like it has come to fuition with Terracotta and Bao Bei. But now, I'm not sure if that was a good idea after all... LOL! egirlwonder, nope, no push cart. If you click on the side menu under Categories - "Push Cart Dim Sum", those are the ones I have visited that have it. I like ur blog very much. Im from calgary and will be visiting vancouver in a few days. I still cant decide which Dim sum place is a must go as I only stay 5 days in Van,but I have 25 restaurants that I wanna check out! Thanks to u and sherman=.=.. So what would u suggest for dim sum? However, this list is subjective since everyone has their own preferences. There are many more I didn't list that cost considerably less and still have great Dim Sum. If you email me directly, I can offer some more suggestions.